Our "bird man" Lee Pauser has been out recently and he's noted a lot of bird activity this season. It's probably more like normal years of bird activity, but the drought has had its impact on the birds too and their activity has been down the last couple of years. Lee reports that "5 of the 8 barn owl boxes have barn owl activity. Of the 5 active boxes, 3 have hens on eggs, and the other 2 have roosting hens". 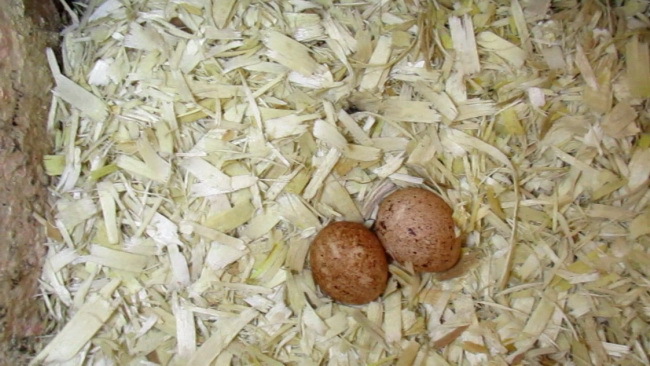 Lee also shared a picture of two American kestrel eggs in one of the boxes. It took a few years to get kestrel activity, but they finally seem to be here.